Description Kim and Kanye’s new 20 million Hidden Hills mansion comes complete with eight bedrooms 10 bathrooms two swimming pools two spas and a vineyard The large kitchen has French-country style details and beamed ceilings. 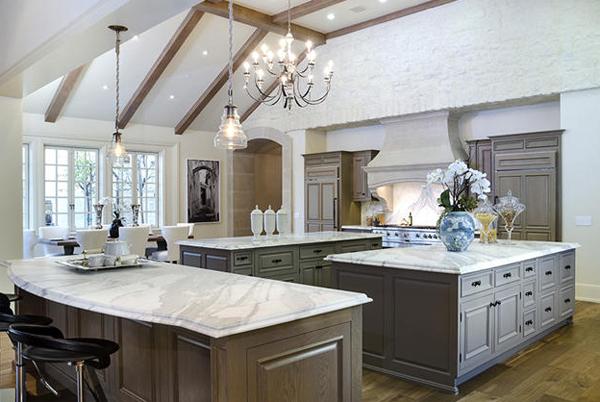 Well, let’s face it – when you spend $20 million on a luxurious pad in Hidden Hills, you wouldn’t expect anything less than a killer kitchen. That being said, you have to wonder how often folks like these actually cook their own meals… chances are, the answer is not very often at all! 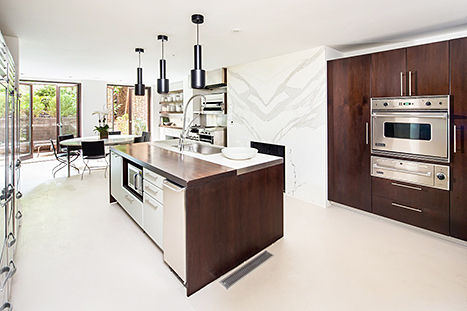 Clearly going for an open and minimalist feel (and pulling it off very well to say the least), Jennifer Lopez owns a gorgeous modern kitchen as part of her $22 million NYC penthouse. It comes close to looking and feeling a little like a luxury bar, which isn’t necessarily a bad thing. Well, what would you expect from the Queen of New York City and all things stylish? 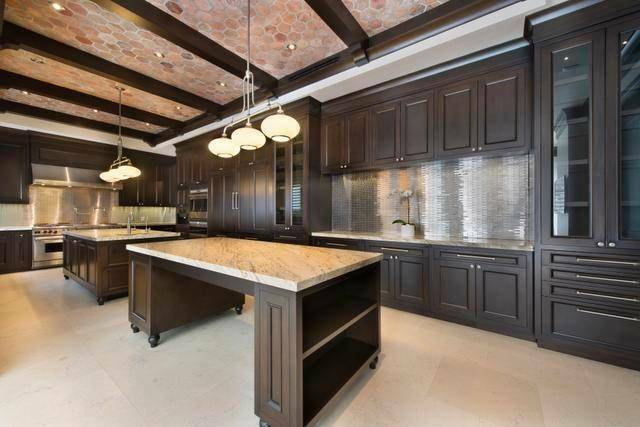 She’s said to have paid in the region of $22 million for her penthouse in Greenwich Village, which came complete with this undeniably beautiful kitchen. Does Lady Gaga cook? We may never know, but what we do know for sure is that she has a gorgeous kitchen and dining room that’s designed in a far more laid-back and toned-down manner that you might have expected. 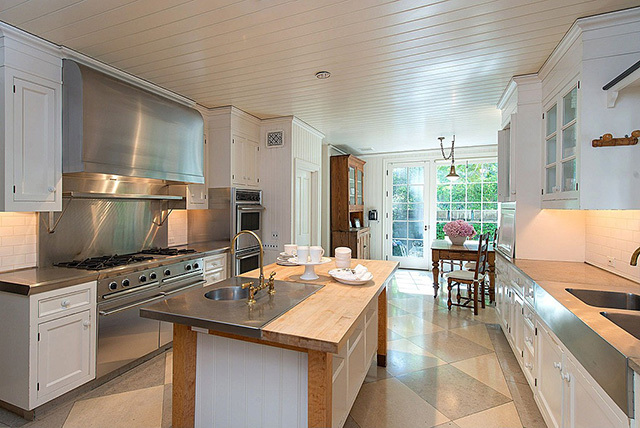 She paid $23 million for her mansion in Malibu…it’s alright for some! 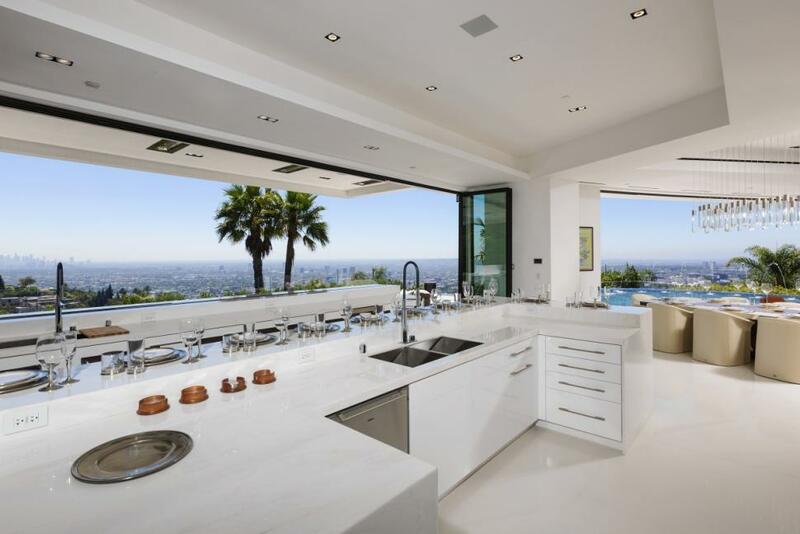 Apparently the pair of them are still thinking about buying this $85 million pad, which as you can see boasts one of the most stunning semi-outdoor kitchens you are ever likely to lay eyes on. And of course, the view of the LA skyline in the distance isn’t too shabby either! 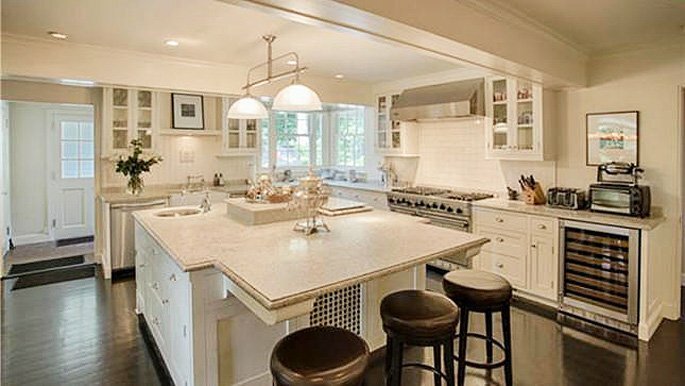 Living proof that not all celebrities go over the top when it comes to home décor, the kitchen of one Kelly Clarkson is surprisingly homey. 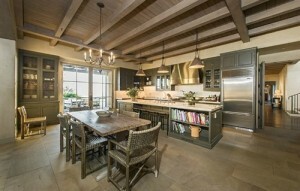 Warm, tasteful and not too eccentric, you’d be forgiven for thinking it wasn’t a celebrity kitchen at all! Star of The Hunger Games and a thousand other heavy hitters, Jennifer Lawrence treated herself to a $6 million Beverly Hills mansion with the stunning kitchen you see here. You just have to love the range that’s clearly capable of running a medium-sized restaurant – perfect for the kinds of house parties the rich and famous are synonymous with! A waterfront mansion with a kitchen as beautiful as this – all the property of one Lebron James. We’re not going to make any jokes about the place having high ceilings, but chances are it’s really no coincidence! Last but not least, this iconic Hollywood duo reside in a gorgeous 19th century mansion with a price tag of $11 million. 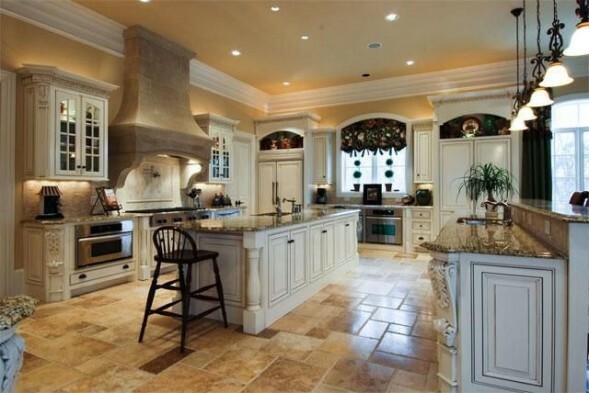 Much of the place looks more like an elaborate museum than a standard home – the kitchen being no exception!